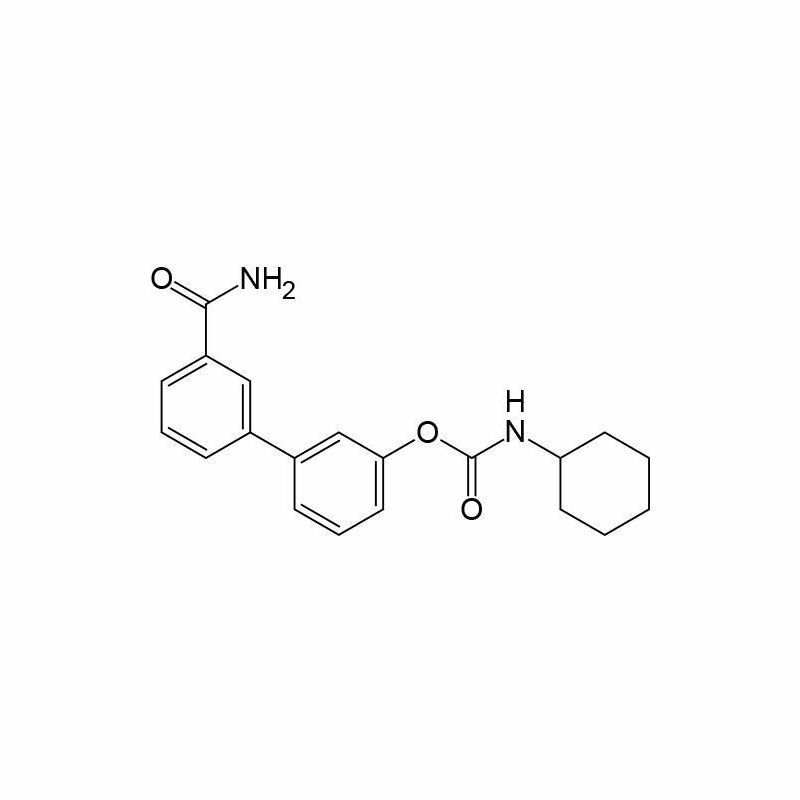 URB597 is a potent, orally bioavailable FAAH inhibitor. URB597 inhibits hydrolysis of FAAH metabolized substrates within the endocannabinoid and related systems invoking a parallel increase in brain anandamide, OEA, and PEA. Efficacy on parameters of mood, anxiety, and analgesia with no demonstration of adverse effects. 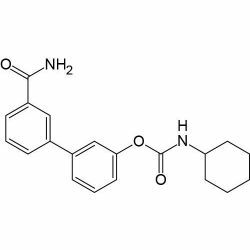 URB597 is a potent, orally bioavailable FAAH inhibitor with IC50 of 4.6 nM, with no activity on other cannabinoid-related targets. URB597 inhibits hydrolysis of FAAH metabolized substrates within the endocannabinoid and related systems invoking a parallel increase in brain anandamide, OEA, and PEA content by inhibition of FAAH. Expresses efficacy on parameters of mood, anxiety, and analgesia with no demonstration of adverse effects. URB597 reduces allodynia and hyperalgesia through cannabinoid CB1 and CB2 receptor-mediated analgesia in rats with inflammatory pain. URB597 reversed most depressive-like symptoms induced by adolescent THC exposure in female rats. URB597 has been shown to act on the basolateral amygdala (BLA), a key center of anxiety/stress related responses. The endocannabinoid system is an important regulator of neuroendocrine and behavioral adaptation in stress related disorders thus representing a novel potential therapeutic target. The BLA has been determined to be a key structure involved in the anti-stress effects of URB597, and support the evidence that enhancement of endogenous cannabinoid signaling by inhibiting FAAH represents a potential therapeutic strategy for the management of stress-related disorders. 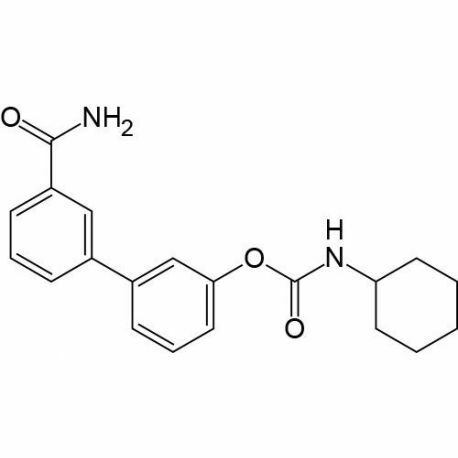 URB597 is part of a potential clinical trial for efficacy in schizophrenia. The trial is set to assay URB597 at 10mg/day and Cannabidiol CR at 320mg/day for 5 days. A potential for concurrent administration of CBD and URB597 may be seen as of highly efficacious potential for mood disorders, depression, anxiety disorders, schizophrenia, and complex pain disorders.